Barcelona, Spain, 29 November 2017. 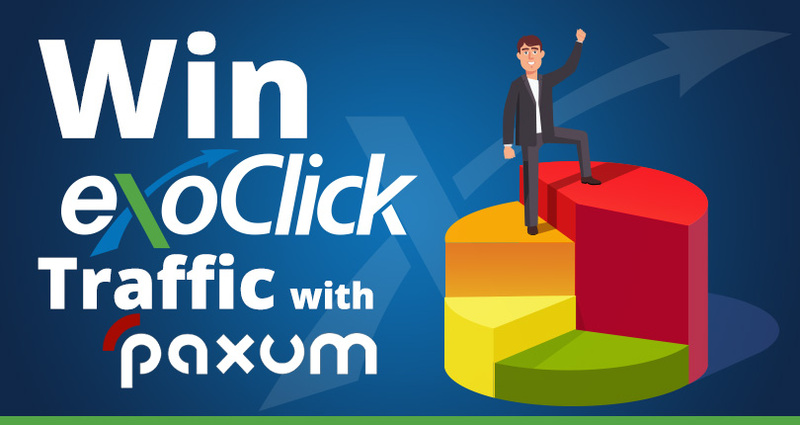 ExoClick has teamed up with global ewallet payment service Paxum to give away two prizes of $1,000 worth of traffic on ExoClick’s platform in a free draw for ExoClick advertisers. 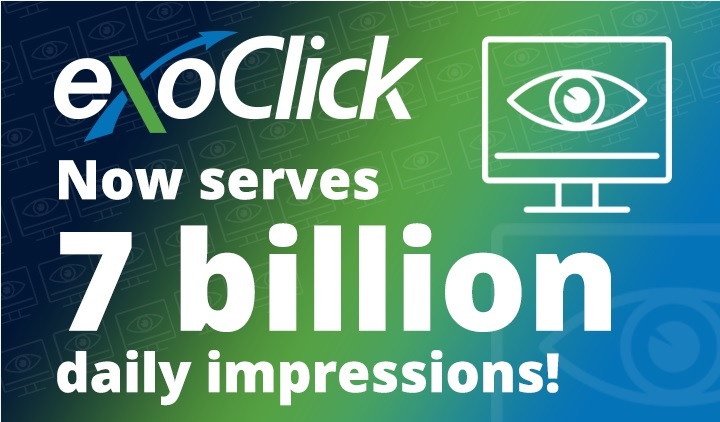 Prize one is open to existing Paxum clients on ExoClick’s ad network. 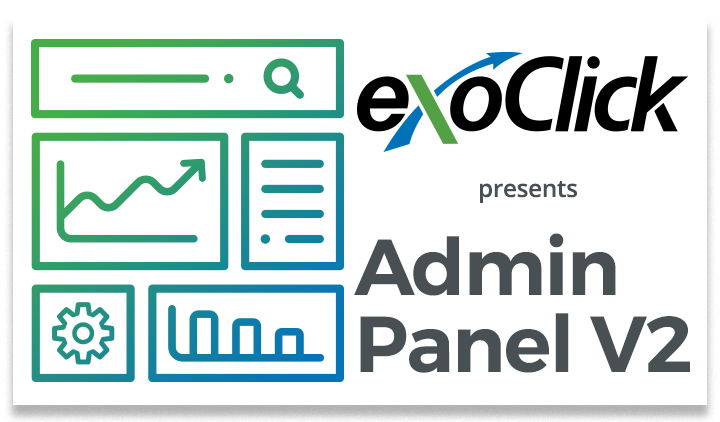 To be eligible for the draw you must have used Paxum to make a payment transaction on ExoClick at least once, during the time period 12:01am 1 December 2017 to 11:59pm 31 December 2017 (CET). Prize two is open to new Paxum clients. To be eligible for the draw you must sign up to Paxum.com and make a payment transaction on ExoClick at least once, during the time period 12:01am 1 December 2017 to 11:59pm 31 December 2017 (CET). 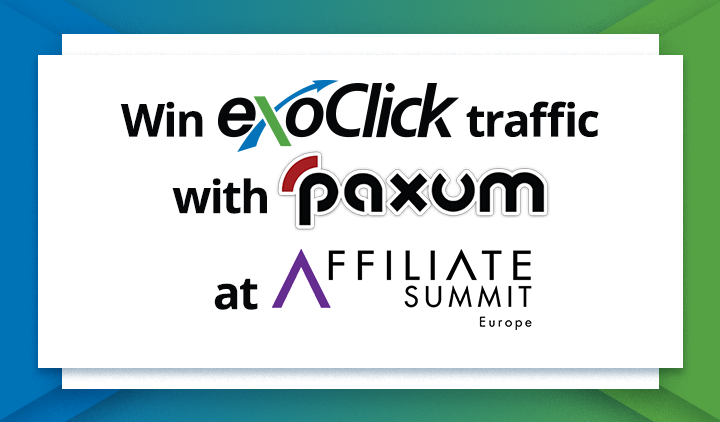 All advertisers that use Paxum on ExoClick during the allocated time period will automatically be entered into the lucky draw. 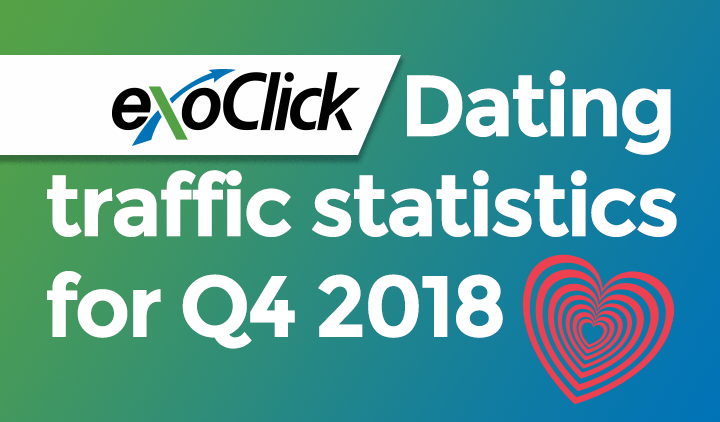 On 4 January 2018 ExoClick will select at random winners of both prizes who will each win $1,000 to spend on traffic on the platform. The winners will be notified by email on Monday 4 January 2018, the winners will have 30 days from the notification date to redeem their prizes, if their prize is not redeemed by midnight 2 February 2018 (CET), the judges will select a new winner to award the prize to. The judges decision is final. Paxum Global eWallet is the leading alternative payment service for the online adult entertainment industry. The award-winning payment company offers a cost-effective secure ewallet payment service that allows users to easily send and receive money instantly all over the world with just an email address. You can learn more by visiting their site at https://paxum.com, or by contacting one of their friendly reps.